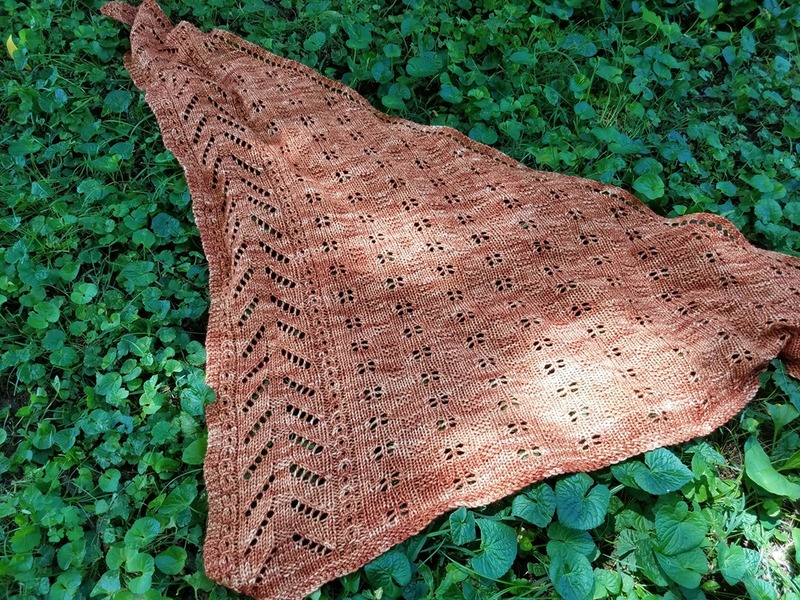 My Thurmont Shawl is all done! I really like it too. Easy and fun knit which I am looking forward to wearing this fall. Right now, no way. DK weight Merino wool is not for use in the south in the height of summer heat. It should be just right by October though. I ended up using 225-230g of yarn for mine, so I have enough left of the third skein for fingerless mitts or a small hat. I haven’t started a new knitting project yet. I still have my Honey Cowl on the needles so I will piddle with that for a day or two and probably call it done. After that I have an idea about what to knit next. 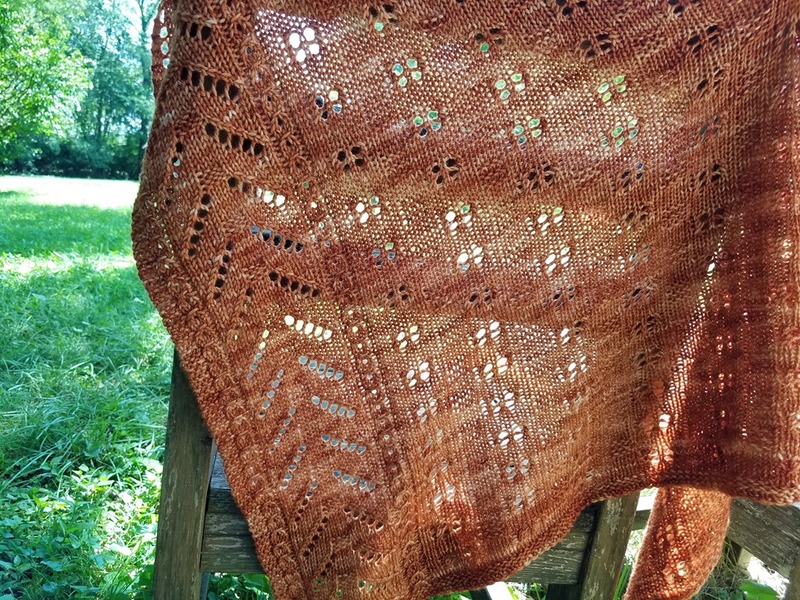 I am thinking about finally making my Sonnenblume which I still have the yarn for in my knitting bag. I was the dyer for Anne’s FIFC club in 2012 and I saved myself a skein to make this. Honestly I hate doing a provisional cast on and I think that caused my procrastination. It’s quite silly, I know. I will leave you with a picture of my work for the last two days for the mill. 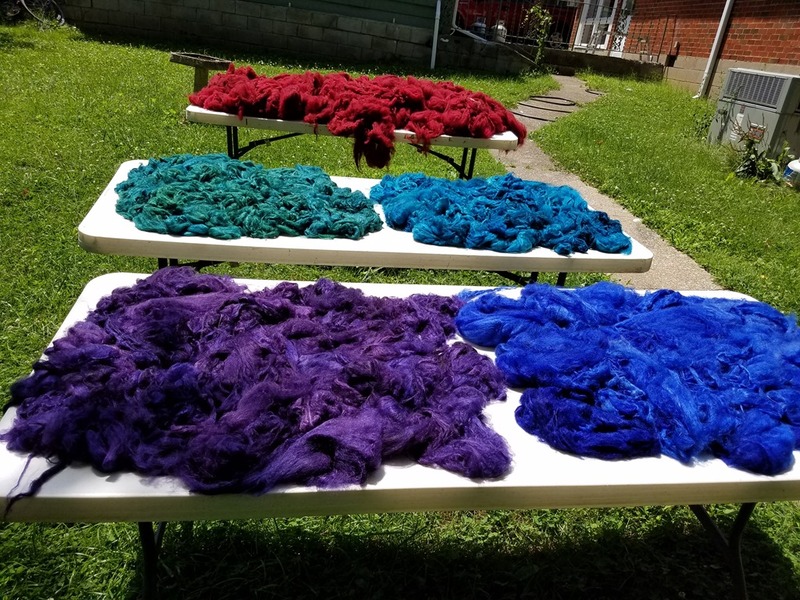 The two colors in front are to be spun separately and then plied together; the same for the two colors on the middle table. 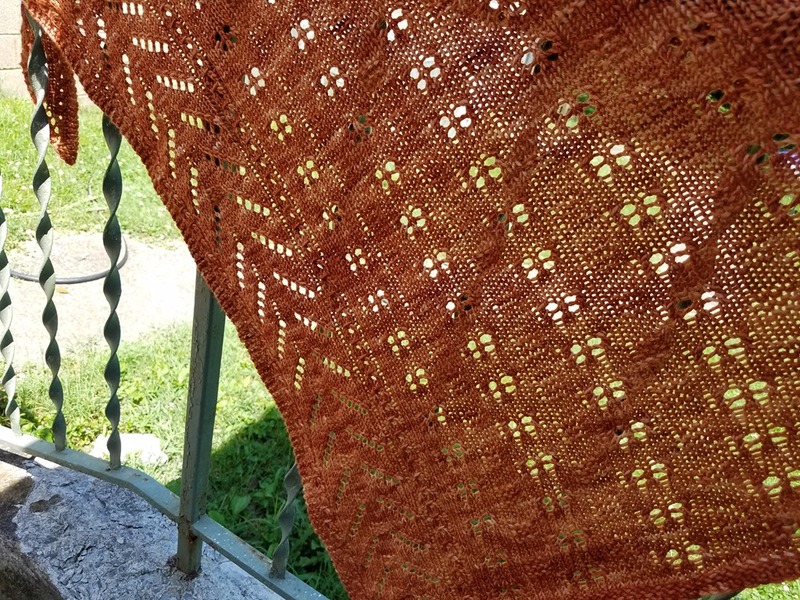 I wish I could see the yarn when they are done because I bet they will look cool.